The PC Tools File Recover Utility is no longer available. See our other recommended Data Recovery Utilities here. Here is a review or walkthrough of the PC Tools File Recover utility. PC Tools is a Microsoft Certified Partner so I expect this file recovery to work flawlessly. 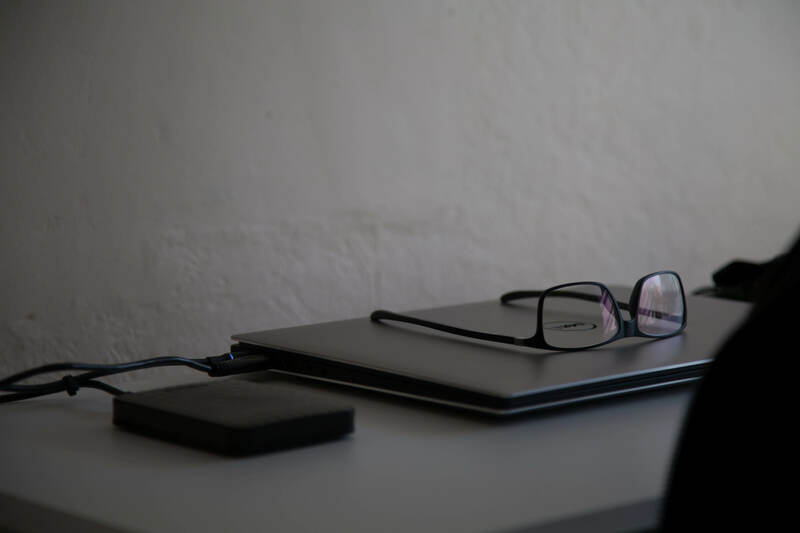 If you or a user on your network has ever accidentally totally deleted a file, it is virtually impossible to recover the file after it has been deleted from the Recycle Bin. Just a word of caution. 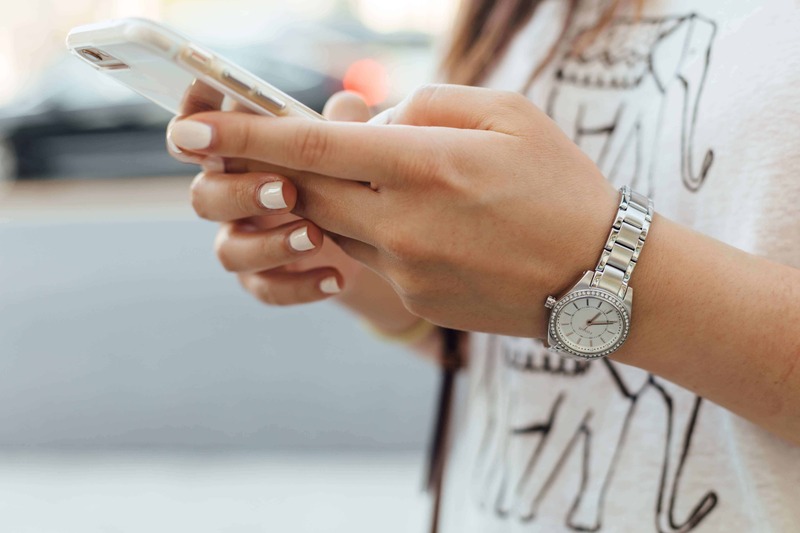 If you have already accidentally deleted a file, do as little as possible with your computer until you have recovered the file. 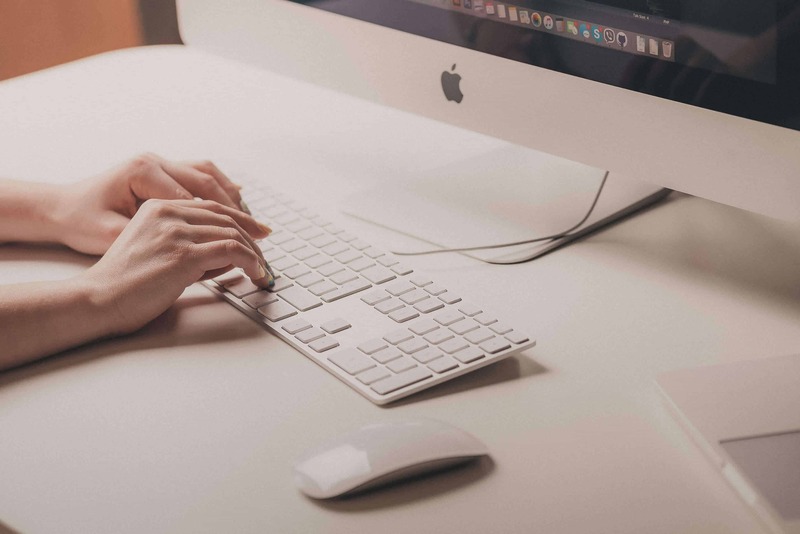 If you save or create other files, the accidentally deleted file you need to recover has more of a chance of being permanently overwritten with no chance of recovery. 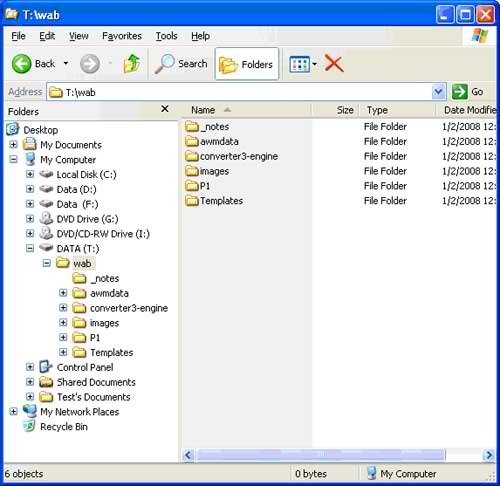 The PC Tools File Recover software boasts that it can recover the deleted file. Let’s put it to the test. 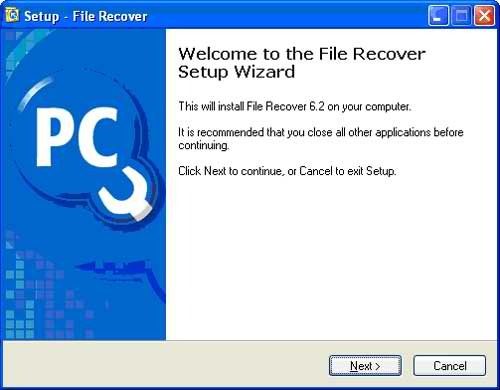 The first thing to do is to download and install the PC Tools File Recover Program. The installation of PC Tools File Recover was uneventful. This is the first screen you will see when the File Recover opens. This is the main interface. Looks like a simple program to use. The File Recover program has but only one function after all. Its main function is to recover deleted lost files. So I will some files from a flash drive and see if I can recover the files using PC Tools File Recover. 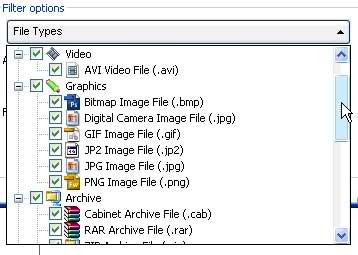 The following screenshot shows the files I will delete. It is the folder that holds a backup copy of the What’s a Byte web site. I deleted the files. When you delete files from a flash drive, it automatically bypasses the Recycle Bin. I emptied the Recycle Bin anyway. I chose to do an advanced scan to recover the lost files. 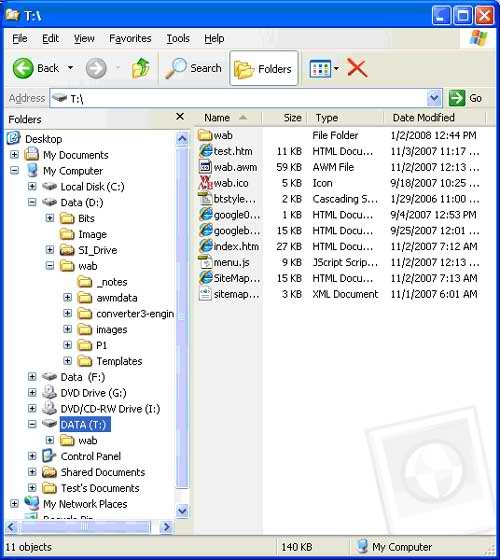 The advanced file scan option allows you to search the drive where the files initially resided rather than searching the entire computer. It also allows you to do a quick scan, a deep scan or a physical scan. The File Recover filter options let you recover only certain types of files to recover. It also allows you to search by all or part of a file name. This is handy if you only want to recover a certain file. 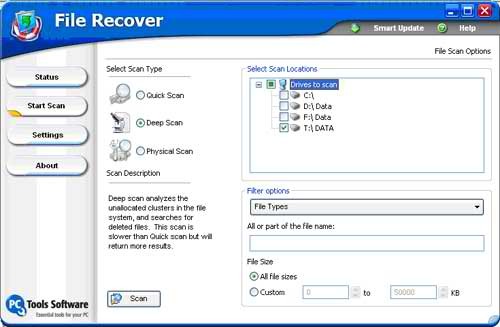 This screenshot shows the PC Tools File Recover utility scanning for recoverable files. When the PC Tools File Recover scan was complete, it showed the files that I had just deleted plus a few others that I must have deleted in the past. The File Recover utility gave me the option to select all files or just the ones I needed. I chose all the files I just deleted plus a couple more just for the fun of it. I then smacked the Recover button. 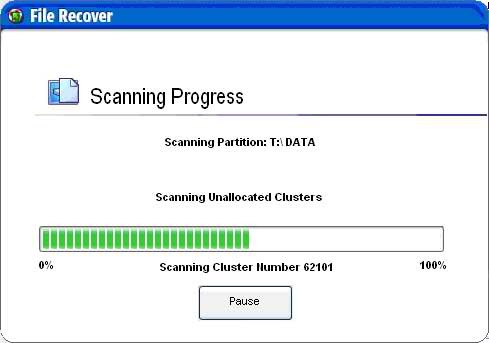 The PC Tools File Recover program restoring the deleted files. I then checked the flash drive to see if the files were indeed back where they are supposed to be. 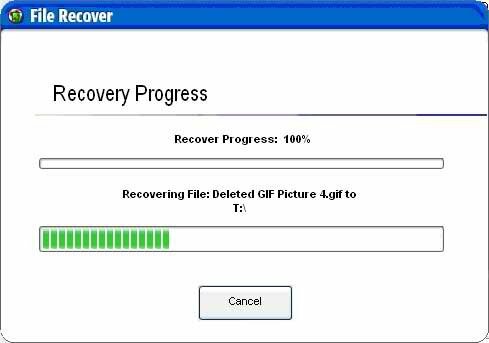 The deleted files were successfully restored back to the flash drive. If PC Tools can recover a deleted file from a flash drive that bypasses the Recycle Bin when files are deleted, then I believe that it could recover files from any other drive. PC Tools File Recover works as they claim it does. 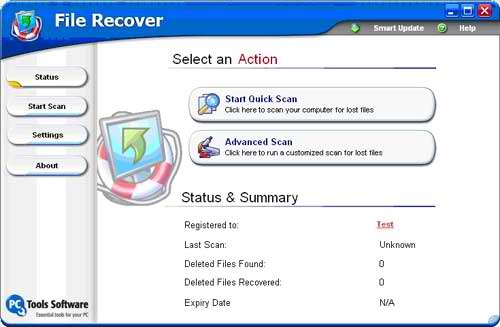 PC Tools File Recover claims that it can recover files instantly from hard drives, floppy drives and other types of fixed media. 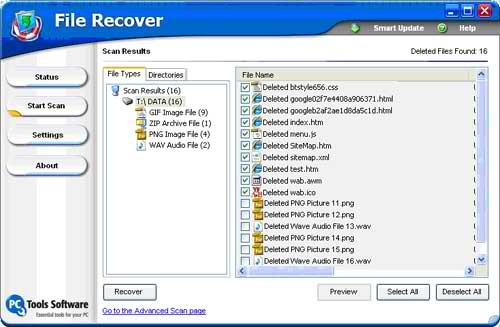 This review of PC Tools File Recover software showed that the program did everything that it claims that it can do. For that reason, the PC Tools File Recover program gets an honorable Brontobyte on a scale of Bytes to Brontobytes. File Recover is a very impressive and recommended utility to have in your toolbox.